Cobb and his daughters Allison Cobb and Paula Ward presented the check. Both daughters and Paula's husband Mike Ward grew up in Los Alamos and now live in Oregon. They returned to New Mexico with Don's grandchildren Nathan and Arielle Ward, and family friend Philip Etherington for the celebration. 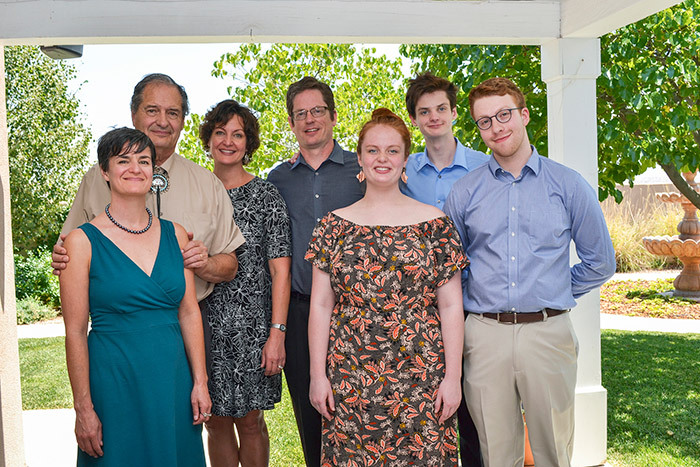 The education fund and scholarship award were created by Don and his wife Connie in 2017 to encourage local students to pursue careers in the teaching profession. They were inspired in part by Paula's sacrifices and dedication, as well as the joy she brought to her students as an elementary school music teacher. 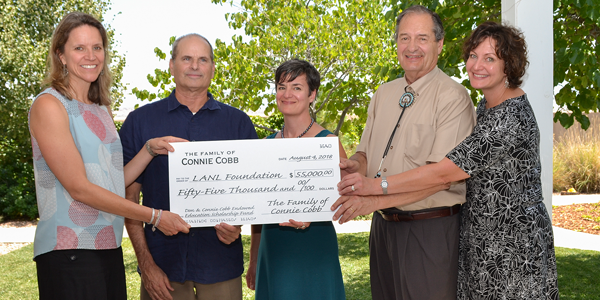 With Connie's passing in 2018, her family chose to pay tribute to her memory, celebrate what would have been the Cobb's 55th wedding anniversary and strengthen their commitment to educators in Northern New Mexico with this additional contribution. "We hope that this scholarship will be a permanent way of encouraging young people to consider teaching as a career, because it's so important. It's no more complicated than that, it's why Connie and I set it up," said Don. 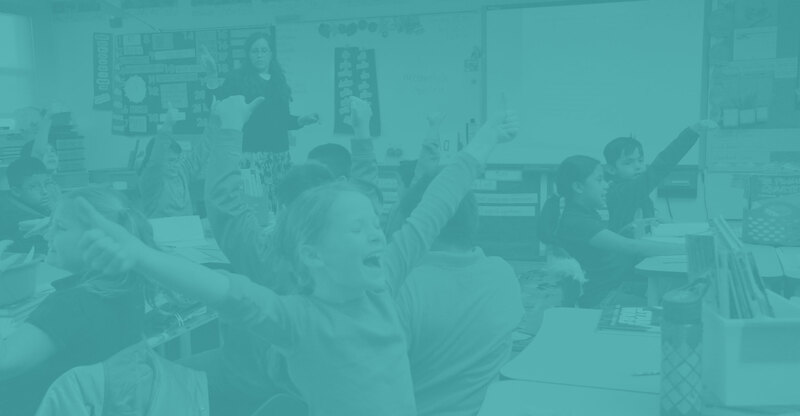 "By increasing the size of the fund, it gives the ability to impact more lives of potential teachers and makes it a stable endowment for the future." "If we can have more teachers who are well-qualified and highly trained, it would be wonderful, especially in this area," added Paula, who is now working in early childhood education. LANL Foundation CEO Jenny Parks, Vice President of Advancement and Scholarship Tony Fox and Board Member Barry Herskowitz accepted the family's donation and also made a $5,000 contribution to the Cobb Education Scholarship. "Your scholarship for teachers is a gift to this community. One of the biggest challenges is that students do not want to be teachers, and a lot of schools are operating with fulltime substitutes," said Parks. "To have something like this to help young people who are interested in education is a legacy that will live on way past all of us here. I want to thank you deeply from the bottom of my heart, from the Foundation and the board." 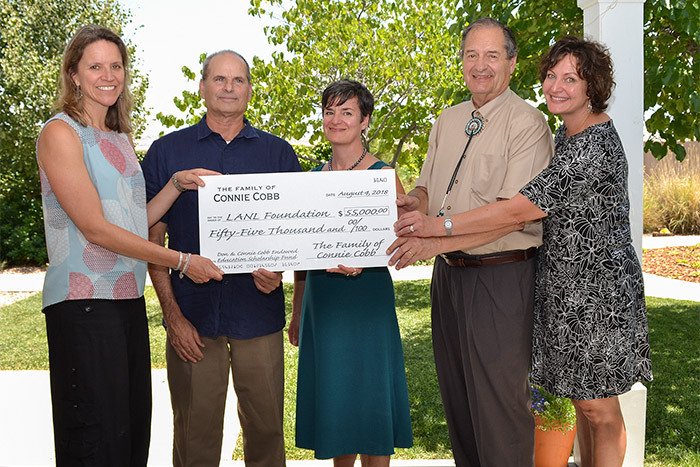 These gifts and several individual donations made in honor of Connie's spirit of generosity and community, in addition to fundraising efforts by the Laboratory and LANL Foundation, have increased the Cobb Education Scholarship fund to $110,000. "The fact that the LANL Foundation has the capacity to implement scholarship funds and other programs for education is the reason we were able to do this. Without the Foundation, this scholarship wouldn't exist," said Don. Tony Fox, who worked closely with Don, echoed the Foundation's gratitude on a personal level. "Both you and Connie played an integral role in our community and especially with the LANL Foundation. Through your 12 plus years of support, you've been a great family friend," he said. Connie Cobb was able to see the first education scholarship awarded earlier this year. Selah Winston from Santa Fe was the first recipient of $1,000 in May. She is a first-generation college student attending Barnard College studying mathematics and Spanish and pursuing a career in education "to help students discover their interests, push past difficulties, and aspire to better their own futures." Both Paula and Allison say that their mother would give all of the credit for the scholarship to their father. Allison, who is a fundraising writer and works to align people's philanthropic vision with an environmental nonprofit, has enjoyed looking through a different lens of generosity on the giving end. "It's been so great to see what a big influence my dad has had on this Foundation and to hear about a side of his life that I don't know that much about because he doesn't brag about himself," she said. "The impact of this gift outlasting all of us feels really powerful and is a nice way of thinking about my mom and her influence still being in the world." 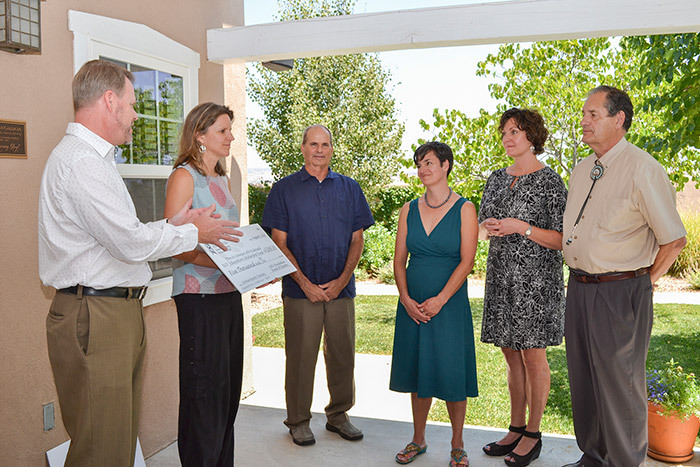 Los Alamos Employees' Scholarship Fund has been supported primarily by donations from current and retired LANL employees, contractors, and LANS, LLC. LANL Foundation manages the financial and programmatic aspects of the scholarship with support from the donor-based advisory committee. LANL Foundation also works with individuals, families and outside organizations, to create separate scholarships with customized selection criteria for students in specific areas of study or those who meet certain demographic qualifications.